Why can't your employees follow the values the organization has adopted? Why are decisions made which are clearly outside of your values? Why can't they seem to "get it". 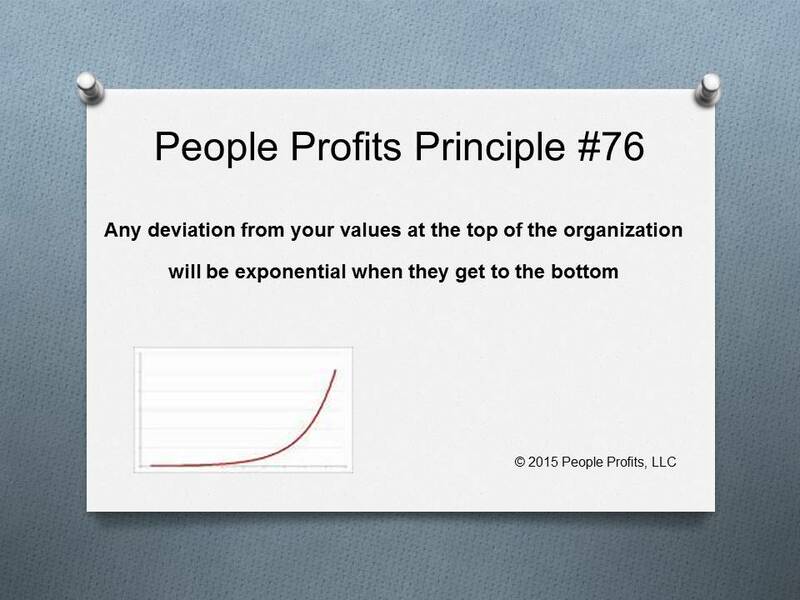 One issue is any deviation, no matter how small, from the values, policy or process by upper management will be exponentially larger as it approaches the bottom of the organization. A 10% deviation at the top of the organization, will be 20% at the next level, 40% at the third level and 80% at the fourth level.